Pediatric Associates continues to grow and is now serving the Tampa Bay Area with three great locations. Our offices are in Riverview/Winthrop, Palm Harbor, and Trinity are always seeking great candidates to join our team. Pediatric Associates is one of the largest Pediatric groups in the country and joining our team will offer candidates a great work environment, great benefits, competitive salaries, tremendous growth opportunities and much more. Hear some of our PA Testimonials! I have been working at Pediatric Associates since 2006. After finishing my Pediatric training, I faced the hard task to find a place where I could enjoy providing personalized care for my patients and their families. It was not long after interviewing in several practices to realize this was the right place. Since the first day, I found the support to achieve my goals: A practice with a friendly work environment that strives for high quality medical care, a customized user-friendly EHR system, professional office staff to take care of scheduling, referrals, phone messages, etc, an administrative team supporting me with hospital credentialing and renewal of medical licenses, marketing ideas and events, and a competitive salary including a comprehensive benefit package. We celebrate through the year our employees, customer service, birthdays and Holidays. In 2014, Pediatric Associates opened their most recent offices in the Tampa area (Palm Harbor and Trinity) and I was given the opportunity to relocate from my original home office at Miami Beach. Now, I call Tampa Bay my new home and it is great to feel that regardless which office you work at, each one has an amazing group of people that more than coworkers I consider my friends, my own family. Sharing same vision and core values to provide the best Pediatric care in our community. I have been an employee of Pediatric Associates for 19 years. When the opportunity came up to join the new Pediatric Associates of Tampa Bay I jumped at. It is wonderful to see all of the staff learning and working together to make the new offices grow. Pediatric Associates does a lot of community outreach, by participating in many events. It is wonderful to see how they embrace the patients and the parents. They welcome everyone like they are family. The staff enjoys each other’s company and we all treat each other like family. The providers are always helpful and willing to answers any questions the staff might have. I am very proud to be part of the company! In the time I have been with Pediatric Associates of Tampa Bay, I have come to love it. Prior to working here, I heard great things from a classmate who worked in another office. Since I want to be a Physician Assistant in a Pediatric office, I thought Pediatric Associates would be a great start for me. Since working here I have had the pleasure of working with amazing people. The doctors are always willing to help me learn something new, and my coworkers are always so helpful. My passion to work with children is being fulfilled by working with Pediatric Associates. I love talking to the toddlers, I always find it amusing to hear their point of view on life. Seeing some of the small children smiling through their pain and sickness makes me smile and stay positive about myself. I hope to continue to grow with this office. The time I have been with Pediatric Associates of Tampa Bay, I have learned to love this company. 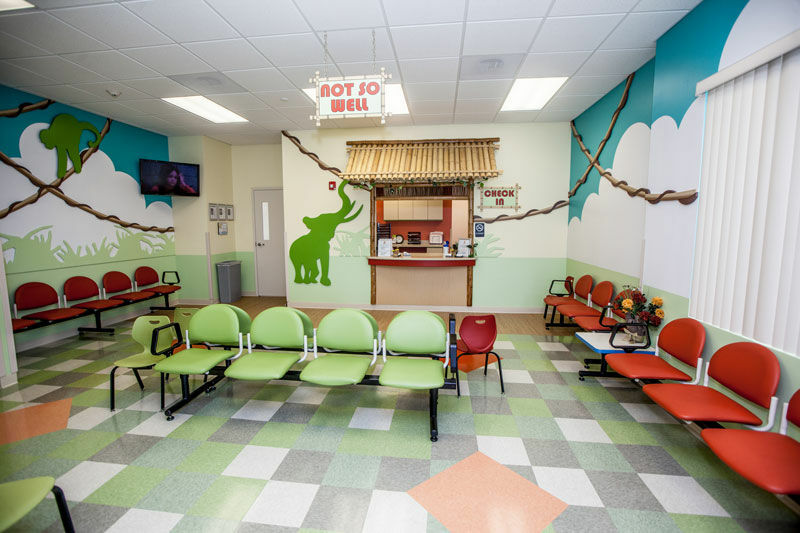 I brought my children to Pediatric Associates as patients prior to my working here. As a mother, having my children be patients of an amazing group of doctors and staff is a great experience. I have a feeling of gratitude knowing my children are in the best hands. Pediatric Associates has been a new experience for my career and I am enjoying it. I have had the pleasure of working with amazing people. The doctors are always willing to teach me something new every day, and my co-workers are always so helpful. My manager is very helpful and she is always pushing us to be better and to grow. I am fulfilling my passion of working in the medical field with Pediatric Associates. I love talking to the toddlers and helping parents with questions. Being able to help our community is a blessing to me. Knowing that I am part of an office where parents trust us with their children makes me proud. Pediatric Associates does not only care for their patients’ well-being but also for their employees. I hope to continue to grow with this amazing office. Dr. Lisa Wildcatt, M.D., FAAP, Lead Physician at Riverview/Winthrop loves working for Pediatric Associates of Tampa Bay. Watch the video above to hear her share why Pediatric Associates is unique and provides great care to their patients. Dr. Alisha Pineiro, D.O., FAAP, Provider at Palm Harbor Trinity was a patient at Pediatric Associates when she was a child! Watch the video above to see why she loves the support she gets from her staff and the Pediatric Associates team.